Frames Come in all Shapes and Sizes! Frames of Knowledge are simply a structure to allow students to demonstrate their understanding of a topic. They easily allow the teacher (and sometimes the students) to differentiate for the varying needs of their students. 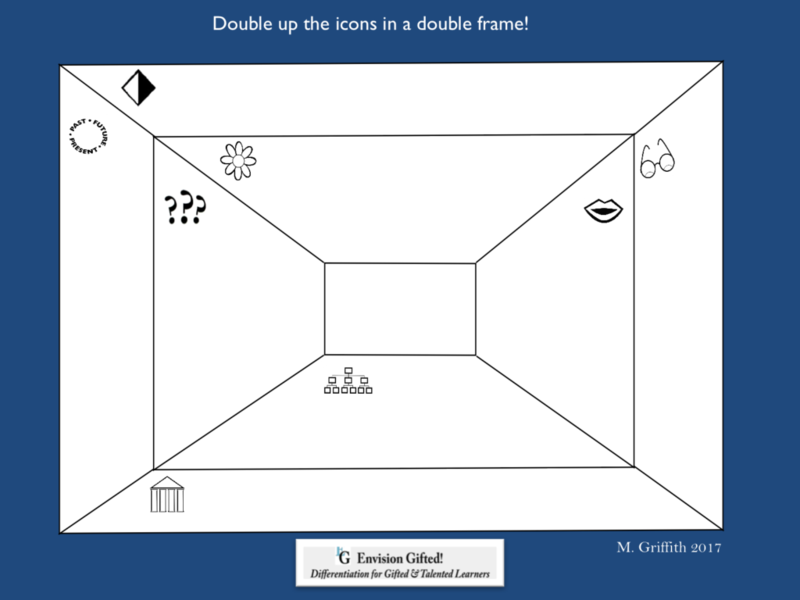 Just like other tools and strategies presented on this website, frames should not be reserved for your gifted students. Differentiate what is inside the frame. It’s not uncommon for people to be surprised to learn that frames of knowledge don’t have to have 4 sides. The number of sides, prompts used and topic explored are all determined by student needs. 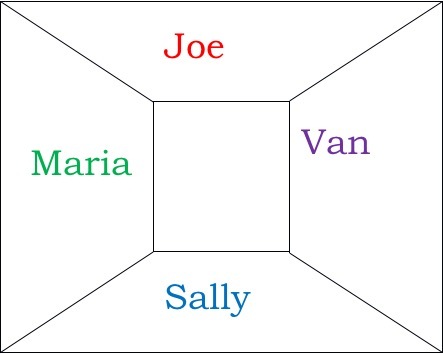 Frames can be used in a variety of groupings: individual students, small group, whole group. Determine the number of sides based on student needs and abilities. However you decide to use them, student accountability is important. See below for suggestions on accountability and management. These practices can provide you with checks for understanding and student demonstration of mastery, etc. Students Working in Groups- We’ve all had students who just like to sit back and are reluctant (for a variety of reasons) to contribute. They are often content to let the others take the risk and put their thinking out there. Without some sort of accountability it can be very difficult to know who is contributing what. One way to counter this is to give each student a different color pen or pencil to use. Can’t color code? Have them write their name after their contribution. 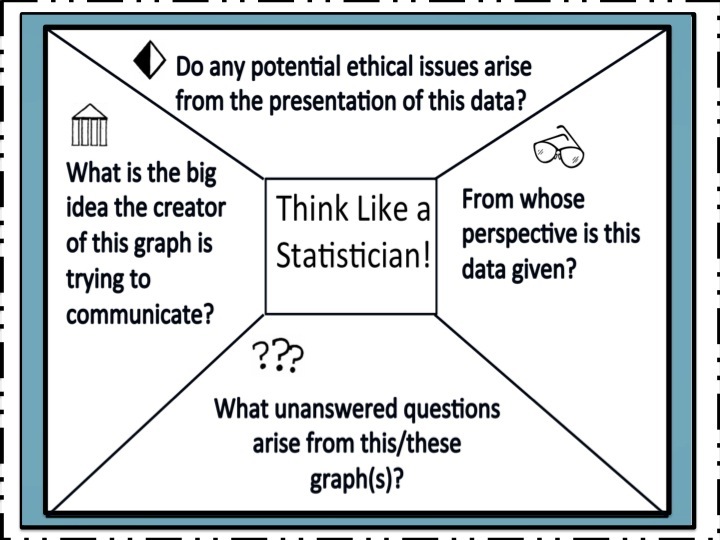 This method is great for kids working in groups. Simply make two copies of the frame. Have students cut the frame into the four (or whichever is on your frame). Have students keep 1 as the base and then cut apart the other and distribute sides to a team mate. When students are done, they simple glue their sections of the frame onto the original. If students require more than one side to complete their writing, simply give that student additional sheets. 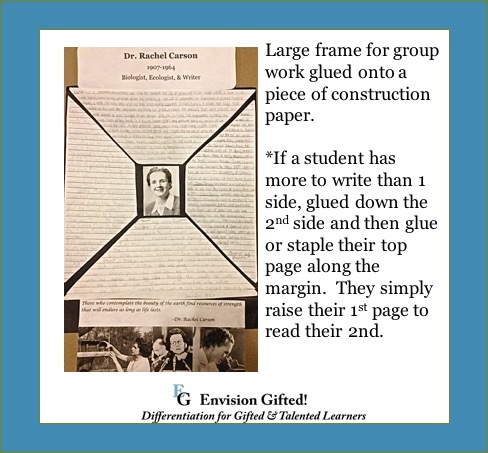 Glue the last sheet onto the frame, or as in the case of the example here, onto a piece of construction paper and staple or glue down only the outer edge of the additional pages . The pages on top will fold back to reveal the next page. I always had students either meet in small groups or with me to discuss before they took on a group assignment. This allowed for structured support and scaffold. During the discussion, students wrote down notes and ideas they thought were relevant on their post it. Really very much like brain-storming. After leaving the discussion, students were then able to use their post-it to remind them of what was discussed and ideas they wanted to integrate into their writing. Once I began using this approach, student learning and understanding increased and the end product was of much higher quality. Using post-it notes, students ponder a bit longer about what they are going to write. 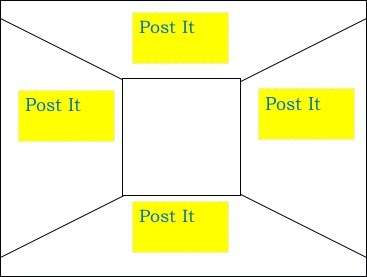 For a more complex examination of a topic, consider having students use a double frame. 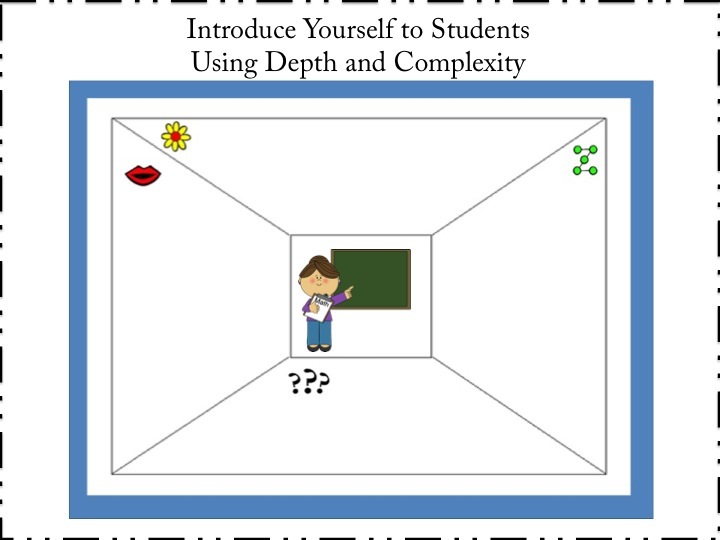 Prompts of Depth and Complexity can be used in both the inner and outer frames. Inner and outer frames can be increase in rigor- basic information on inner frame moving to a more complex information. Again, this would be up to you and the needs of your students. 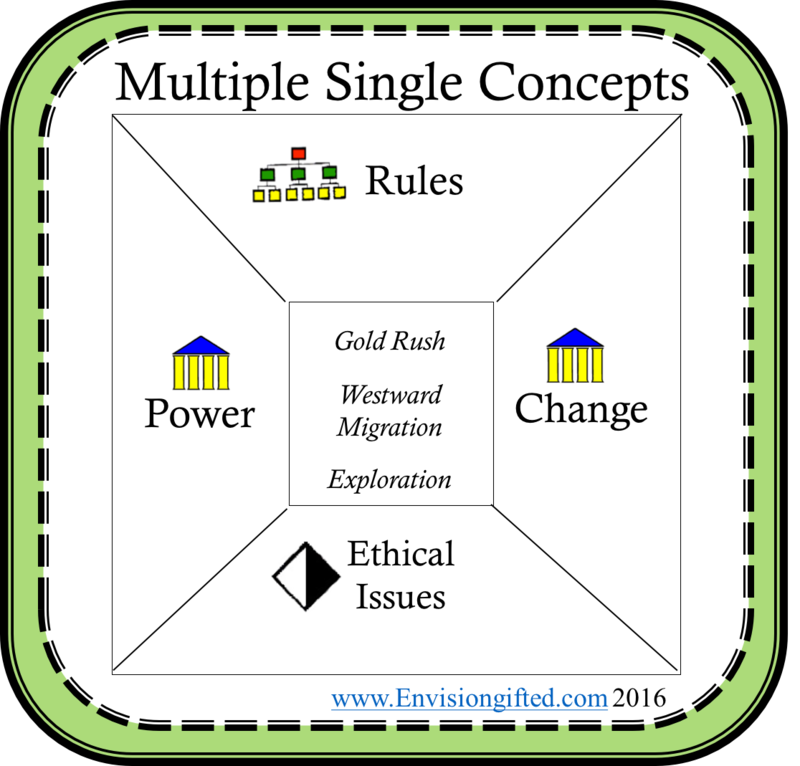 Also consider bringing in Content Imperatives, Keys, and Universal Themes.